Bringing together more than 300 youths from Southeast Asia and Japan, the Ship for Southeast Asian and Japanese Youth Programme (SSEAYP) provides youths with the unique opportunity to live together on board the Nippon Maru Ship for over 50 days. 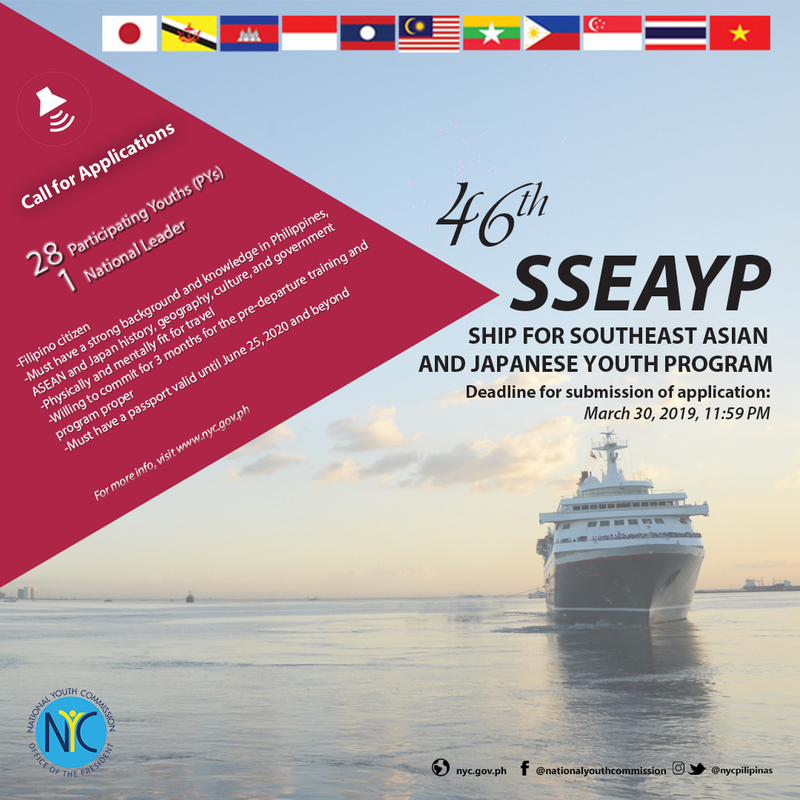 SSEAYP is an annual programme sponsored by the Japanese Government and supported by the member states of ASEAN. The National Youth Council (NYC), Organised by the Cabinet Office of Japan and supported by the governments of Southeast Asia, SSEAYP has benefited over 1,000 Singaporean youths since 1974. Through SSEAYP, participating youths have the opportunity for international exposure and leadership development as they play a significant role as youth ambassadors for Singapore. The National Youth Council (NYC), Singapore's national co-ordinating body for youth affairs, oversees the programme. 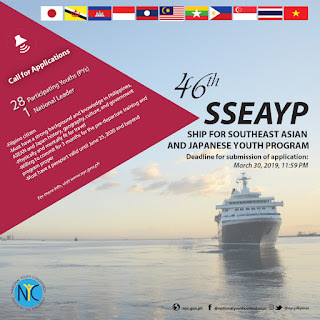 Taking place from 23 October to 13 December 2019*, this year’s SSEAYP will visit four of the ten ASEAN Member States (Singapore, Malaysia, Vietnam, Myanmar) and Japan. The journey promises participants with vibrant discussions on social & youth matters and eye-opening cultural exchanges. At each port of call, participants can look forward to interacting with the local youths, pay courtesy calls on dignitaries, visit local institutions and experience a unique home stay programme. The nominee(s) should be a Singapore citizen between 18 to 30 years old, as of 1 January 2019.